eBay rolled out changes on Monday to due to Google Chrome’s mandate regarding HTTPS. eBay said sellers’ listings that contain HTTP content will display only a snippet of the description with a link to the full description. Sellers who want their entire description to display to desktop visitors must remove HTTP content from their listings. eBay updated its announcement yesterday to inform sellers it had implemented the change one day early. *UPDATE* eBay will implement the changes below today, October 16, to accommodate the HTTPS upgrades mandated by Google. We originally published the article below on August 23, 2017. Google’s changes will roll out on October 17, and eBay is implementing the change one day in advance to ensure a smooth user experience. All information in the article below is still accurate, with the only new information being today’s date for eBay’s rollout. Starting in October 2017, Google Chrome – the browser used by almost half of all eBay buyers – will begin displaying the message “Not Secure” in the address window when users visit standard HTTP pages, and HTTPS pages that include nonsecure HTTP content. eBay believes that the “Not Secure” message may deter shoppers from buying and impact your conversion rate. eBay is taking steps to make sure that your buyers won’t see this message and can access your listings securely. – If your listings contain HTTP content and your buyer is on a desktop, buyers will see a snippet of the description and a link to click for the full description. If you want your listings to show the complete item description, you will need to remove HTTP content from your listings. – The experience is unchanged for mobile buyers. – You can use the i-ways tool to identify listings that contain HTTP. 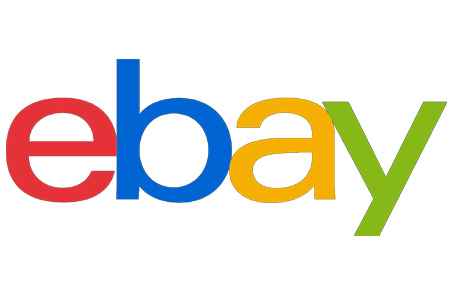 – eBay will email sellers who have listings that contain HTTP, starting August 28th. If you do not get an email from eBay on this topic, no action is needed. – eBay will begin using the HTTPS communications protocol for all listings starting in October. In the future, eBay will move all eBay store pages to HTTPS. – Do not include contact info and links to off-eBay websites. Note: You can read more on this August 23rd EcommerceBytes Blog post. And what’s all the hub bub about? Ebay doesn’t spend money advertising with google – if I’m looking to buy something on ebay I go directly to ebay search and hope their not hiding what I’m looking for. This doesn’t have to do with optimizing for Google *search* – it’s about Google Chrome, which is the web browser that many people use (similar to FireFox and Microsoft Internet Explorer). So if you use Chrome to surf the web, it will warn you if there are HTTP links. Google is mandating sites use HTTPS instead of HTTP, and eBay is worried that if shoppers see the warning in Chrome, they will stop visiting eBay. You can click through to our blog post from August for more info. Timely article. I just finished updating my listings to change my hosted images from http to https and also the links to my listings. I checked some already sold listings to see what would happen if I had not done so. eBay put your description on a separate non-secure page. It wasn’t terrible, but I am glad I made the updates. Has anyone bothered to contact Google to validate this information? Unfortunately the pointed heads at eBay are at it again, instead of reading the information provided by Google, they elected to create yet another debacle. The Chrome browser will not magically create this flashing “unsecure” sign for pages that have HTTP content – It will only do that for pages that require user input such as in the case of a login pages or a page where personal information, credit card or banking information is being asked for. Changing all of the pages on eBay to HTTPS is a massive undertaking and can get expensive for those that need to purchase their own SSL certificates. And it is unnecessary to boot!